TTEC and we do not share your email with any third parties. If you sign up for the Dialogue, you will receive our eNewsletter once per month, along with the occasional special edition. 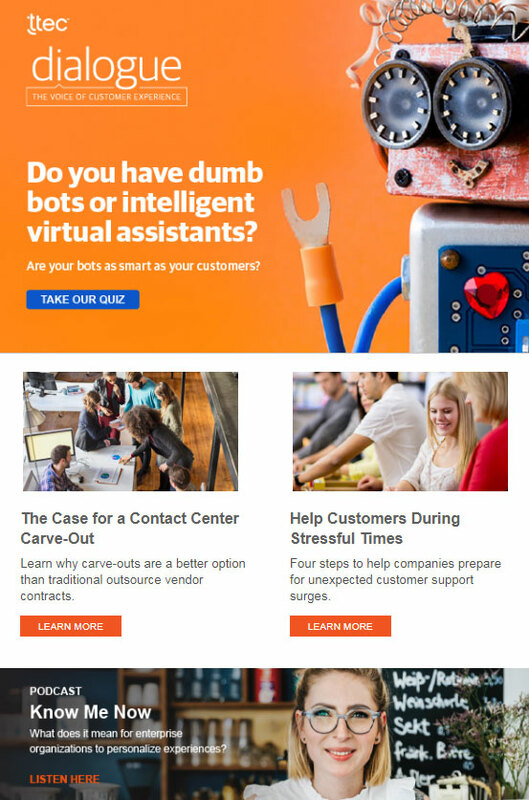 We created the Dialogue to help busy professionals keep up with the latest customer experience strategies and resources. 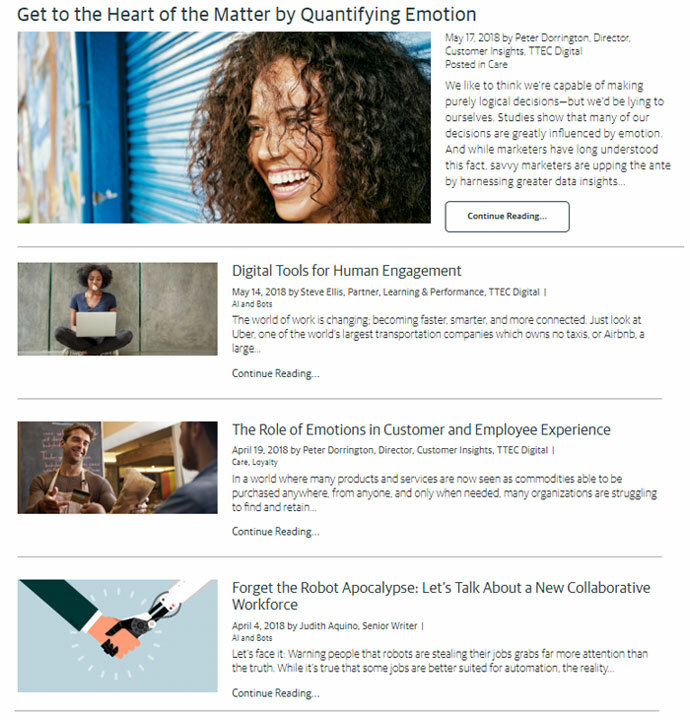 Designed to inspire customer experience excellence, this eNewsletter squeezes the best customer-centric thought leadership and in-depth research into a fun-to-read publication. 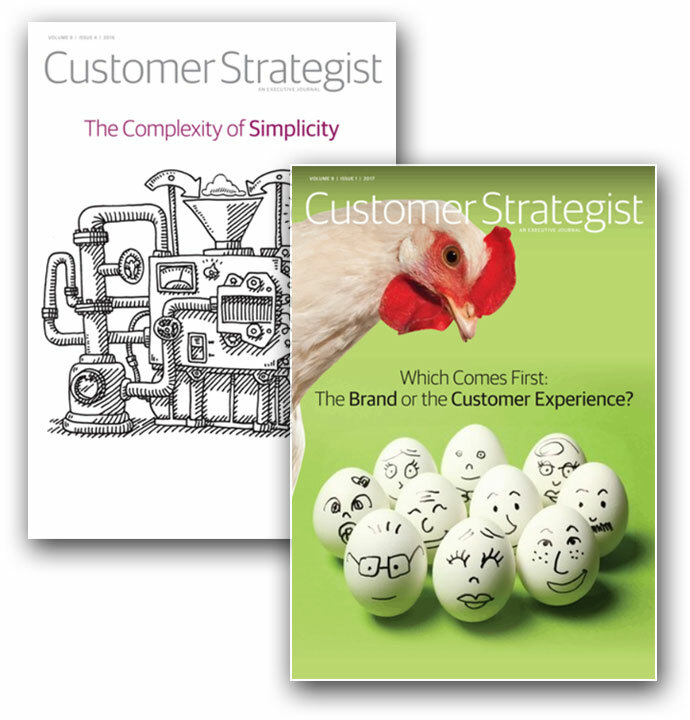 If you sign up for the Customer Strategist Journal eMagazine, you will receive the CSJ quarterly, along with the occasional special edition. The CSJ provides executives with insight that leads to innovative strategies for building more profitable customer relationships. It facilitates learning and action by presenting the most progressive thought leadership and providing access to TTEC's proprietary methodologies. We will occasionally email you regarding upcoming TTEC events, our latest resources, and industry relevant CX success stories. Our thought leadership and resources bring together the best thinking from customer experience gurus and front line practitioners. 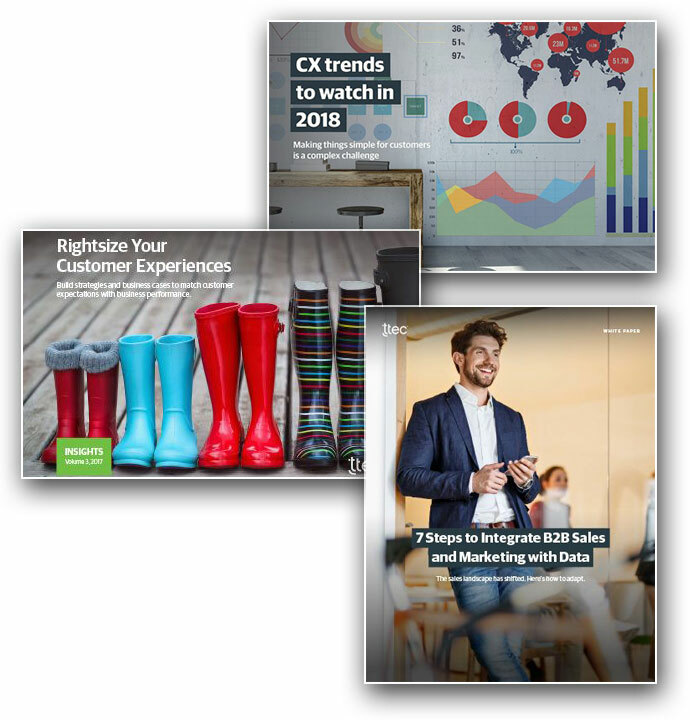 Our articles, research, infographics, videos, white papers, client stories, events and webinars provide the latest and greatest in the design and delivery of great customer experiences. We post four to six times per month, and if you sign up for TTEC's Blog subscription, you'll be emailed each time there's a new post. 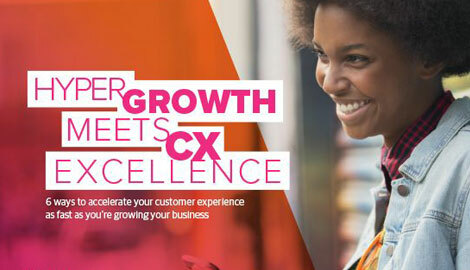 Our blog gathers experts in the customer experience fields who share insights into how to improve the customer experience, and your bottom line.